Free services like WordPress.com and Blogger are attractive places to run your blog. With places like these you don’t have to worry about hosting, set up or maintenance because it is all included for you- At A Price! I recently saw someone ask about whether they should blog on the new Linkedin platform compared to their own site. And while I do suggest using sites like Linkedin and others (such as WordPress.com and Blogger) I don’t recommend that be the main home for your blog. You don’t own the space– this is someone else’s hosting and website domain. Terms and conditions change– often this happens without you realizing it, or without you reading the new terms. Current terms for businesses, affiliates and selling– these vary on each site, but as you build your business you’ll want to have these options for the future. Possibility of closed accounts– if and when you violate something or a competitors complains about you, your blog could be shut down without notice. More difficult to move away from– once your blog is on these sites, it is more difficult to move to your own platform later on, for SEO reasons and technical reasons. Lack of control– when you blog on another site you only have access to certain sections of the site, you won’t have complete control over visitor experience, where things live on your site, or what happens to you content in future changes. Lack of functionality– sites like WordPress.com only give you access to certain plugins and widget options, seriously limiting the functionality of your website. Lack of design option– again you get access to certain design options and while there are many of them, these pale in comparison to the options you have when you are in complete control of your website. My honest assessment- As you build your business, you want to have as much control over your assets as you can, including your website content. If you ever want to sell, you can’t really sell a blog you don’t own. And worst of all, if you do the wrong thing on any of these sites, you can easily have your account deleted or suspended. The likelihood of this happening is slim, however it still exists and just isn’t worth it. In my experience WordPress on your own hosting is the best option for business blogging. WordPress offers the most functionality, gives you unlimited control and has thousands of design options. The community that supports WordPress is massive, there is an answer for everything, a plugin for every idea, and a design you’ll love – usually for free. However, once you start looking at premium options as well, you’ll see a lot of great reasons to stick with WordPress for functionality and beautiful design. 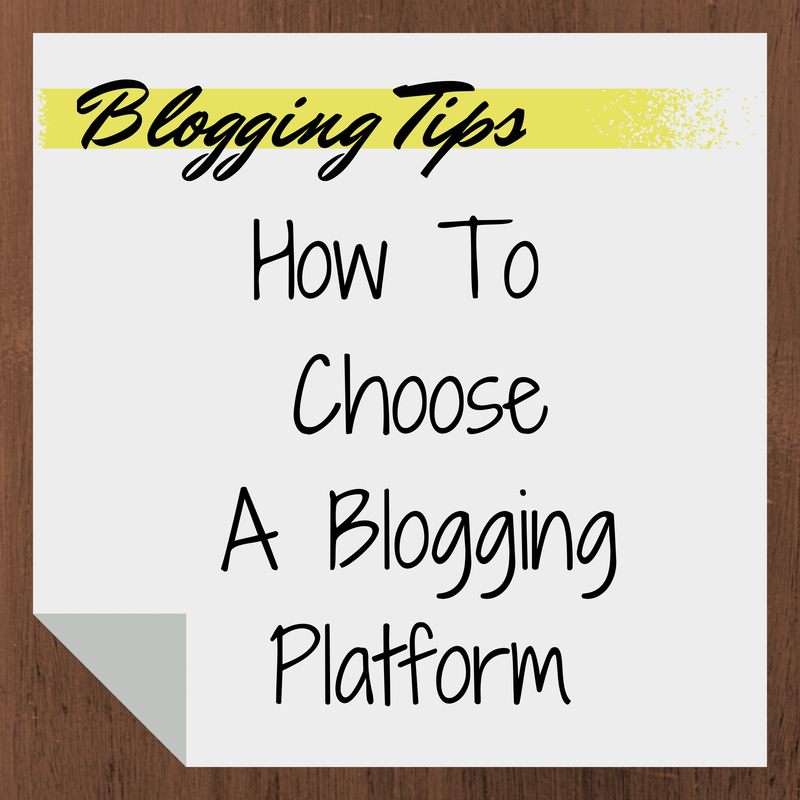 It is somewhat confusing that WordPress is actually two different platforms. WordPress.com is where you can get a free blog such as myname.wordpress.com. It is a fun place for personal blogging that gives you a hint of what using WordPress is all about. Unfortunately, the upgrades for hosting, using your own domain name and other options is not free, and you have very little control over what functions your blog can handle. WordPress.com only offers certain plugins and you can’t make it do a lot of things professional blogs do (out of the thousands available for WordPress installations on your own hosting). Design options are available but there are very few on WordPress.com. And the name of your site looks unprofessional unless you buy a domain and set it up to work with your blog. In that case if you are already going a bit technical- why not do the entire job of setting up WordPress on your own? WordPress.org is where you can download the files to run WordPress on your own hosting. Most hosts will include a one-click install option for this, so it isn’t difficult to have done. Then the fun begins, because you can access the WordPress themes and plugins area for a whole world of functionality and design you can’t find on the .com site. In most cases, once you have a host, you can call support and they’ll handle the support options for you. Then you can set forward to choose plugins, themes and other customizations that suit your goals. All In One WP Security– I had issues using other options for security but it is a must to have a security plugin, once you get any kind of regular traffic to your site, spam and hack bots will attack it. Free! Anti-Spam– I needed a plugin that didn’t take up a bunch of database space like Akismet did. Free! Contact Form 7– because you’ll want to include forms for contact pages and collecting other information. Free! Filament– social media sharing icons that give every page and blog post their own links for making sharing easy for visitors. Free! GA Bounce Fix– Google Analytics bounce fix, takes your bounce rate down from high numbers to under 10% (or there about) with a line of code that matches Google analytics requirements better than your site does alone. Free! Google Analyticator– this lets you add the proper code for Google analytics to your site without having to worry about grabbing it when you update to a new theme. Free! Jetpack by WordPress.com– this works along side WordPress.com to save your stats for tracking visitors. It is capable of doing much more but that is why I use it. Some people say it takes a lot of resources to run this, but I haven’t had that problem yet. Free! WordPress SEO (Yoast)– You need an SEO plugin unless your theme offers it, but this is a better and Free option that helps you keep your site optimized with suggestions and colored icons to let you know the optimization of every page and post. Free! WP Super Cache– this post helps cut down on your resource usage through your hosting by caching pages on your site. Similar to other caching plugins, this is the one that didn’t give me trouble with other themes and plugins. Free! It can be more expensive and difficult to set up WordPress.org on your own website. You can find someone to do it for you, hire me, or take the time to learn how to do it yourself with help on WordPress.org. In the end, it is the best option for a business because it belongs to you, you are in complete control and you will have the possibility to have the functionality you need. If you have questions or suggestions, tell me below. More specifically, if you are a business and use and like WordPress.com or Blogger tell me why you won’t change and what made you choose these as an option. © 2014, Social Media Consultant. All rights reserved. Get more social shares, more visitors and more time spent on your content! No more rehashed trash. Deliver the content your readers so badly want to see. Every piece is written specific to the reader in mind. Work with a writer that provides results, and see a difference in your numbers. Blog posts start at $100 each, bulk discounts given. Great article, Mary! Thank you! Thank you, Mary for that useful article. I have now deleted Akismet, and installed Anti-Spam. Great Nathan, I hope it works for you as well as it has been for me. Thank you for visiting and I hope to see you around soon. it’s best to find a good host like hostgator then install wordpress with a nice theme of your liking. I’ve used several hosts and have never liked HostGator or the others affiliated with that company. The lack of customer service, support knowledge and reliability made it too difficult to maintain a website on a regular basis. This will usually refer to the software which is used to create the blog – there are many diff option in the market which range according to the requirement of the blogger. Thanks for the sharing this info with us.